Located in Rhodes (Rhodes Old Town), Domus Rodos Hotel is within a 15-minute walk of Rhodes Port and Palace of the Grand Master of the Knights of Rhodes. 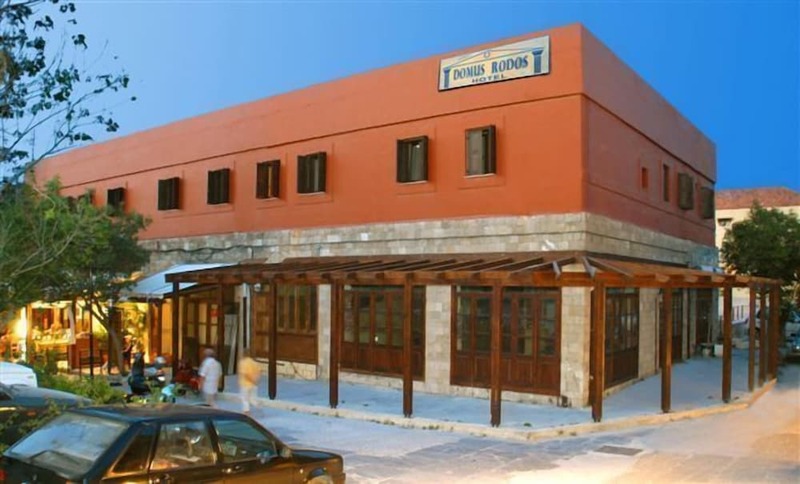 This hotel is 10.7 mi (17.2 km) from Anthony Quinn Bay and 1.5 mi (2.4 km) from Elli Beach. Make yourself at home in one of the 19 air-conditioned rooms featuring refrigerators. Complimentary wireless Internet access keeps you connected, and satellite programming is available for your entertainment. Conveniences include safes, housekeeping is provided daily, and cribs/infant beds can be requested. Satisfy your appetite at the hotel's coffee shop/café, or stay in and take advantage of the 24-hour room service. Breakfast is available for a fee.